12 June 2017. A children’s hospital and diabetes research center are evaluating techniques using artificial intelligence to better identify and manage the care of people with type 1 diabetes. The 3-year program is assessing a technology developed by Cyft Inc. in Cambridge, Massachusetts that derives insights for patient care from unstructured medical records in multiple sources with machine learning and related processes from artificial intelligence. Type 1 diabetes is an inherited autoimmune disorder where the body does not produce insulin, and is diagnosed primarily in children or young adults. Autoimmune disorders are conditions where the immune system is tricked into attacking healthy cells and tissue as if they were foreign invaders, in this case, insulin-producing beta cells in the pancreas. In 2012, about 1.25 million people in the U.S. were estimated to have type 1 diabetes, or T1D, about 5 percent of people with diabetes of any kind. The project, funded by a grant from the Helmsley Charitable Trust, is evaluating Cyft’s technology at Children’s Mercy Kansas City and Joslin Diabetes Center, a research institute in Boston affiliated with Harvard Medical School. Cyft is a spin-off enterprise from Harvard Medical School founded with others by Leonard D’Avolio, a professor at Harvard and Brigham and Women’s Hospital. The dollar amount of the Helmsley grant was not disclosed. The Cyft technology applies artificial intelligence techniques, such as machine learning and natural language processing, to analyze largely unstructured information found in electronic medical records. The company says up to half of clinically relevant information in health records is in free text form, and even structured data, such as patients’ diseases can be as much as 80 percent incorrect. Cyft uses these techniques to collect and process medical data, then construct models to find underlying patterns and provide predictive insights for medical professionals. The company says these technologies have been used successfully across a number of medical specialties including cancer prognosis, orthopedic surgery, neurosurgery, transplant surgery, and trauma care. The study team believes these same techniques can be applied to type 1 diabetes as well. 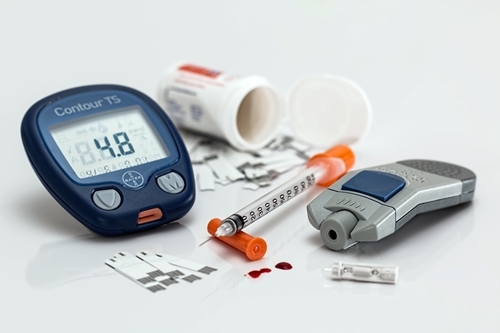 They cite earlier findings show that proactive control of blood glucose levels early in the course of the disease has a continuing influence on long-term outcomes. The researchers expect to identify clusters of factors associated with type 1 diabetes patients that can identify early those at high risk for future deterioration.